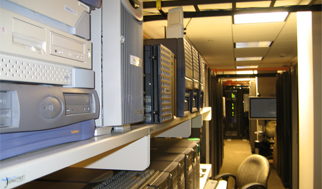 Sailor is a project of Maryland’s public libraries that provides broadband Internet access for public libraries, schools and local government in Maryland, and an extensive collection of research databases for the use of Maryland public library customers. With beginnings dating back to 1989, Sailor is a continuing example of Maryland public libraries’ historic ability to cooperate in pursuit of visionary goals. Sailor grew out of Maryland public libraries’ recognition that the future of meeting their customers’ needs for information was electronic access to materials within and beyond the walls of their buildings. 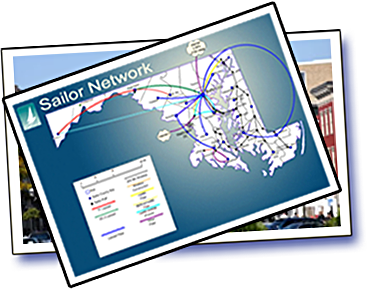 In the process of developing this capability, they found themselves developing a statewide broadband network called the Sailor Network, first launched in 1994, and providing the collection of Sailor Research Databases since 1996. Sailor Operations Center at Enoch Pratt Free Library, Central Library, Maryland State Library Resource is an umbrella term for the staff of the State Library Resource Center who work closely together to implement and maintain Sailor services. These staff are members of several departments.